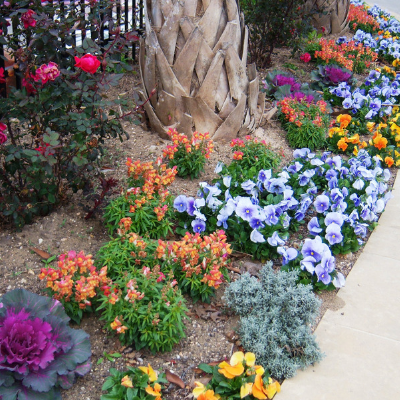 Grow Green is a gardening education program promoting sustainable landscaping practices. It addresses water quality and conservation, recycling, and an Integrated Pest Management philosophy, which encourages the least-toxic way to address pest issues. The Grow Green program includes Training Workshops, Events, Promotions and more. Click here for more information on Grow Green. Hummingbirds and butterflies need nectar, a natural sugar water found in many flowers. 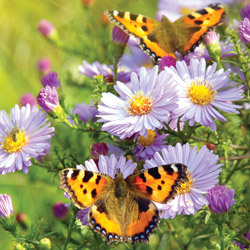 Simple plant selections can provide food for butterflies and hummingbirds will bring both into your landscape. Click here for a list of plants. While there is no such thing as an absolutely deer-proofed landscape, some plants and shrubs are just much less palatable to deer! 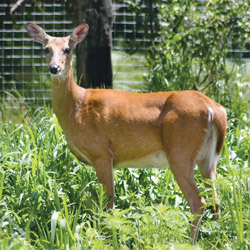 By choosing plants that discourage deer, they may take a sample nibble and move on without total devastation to your gardenscape.